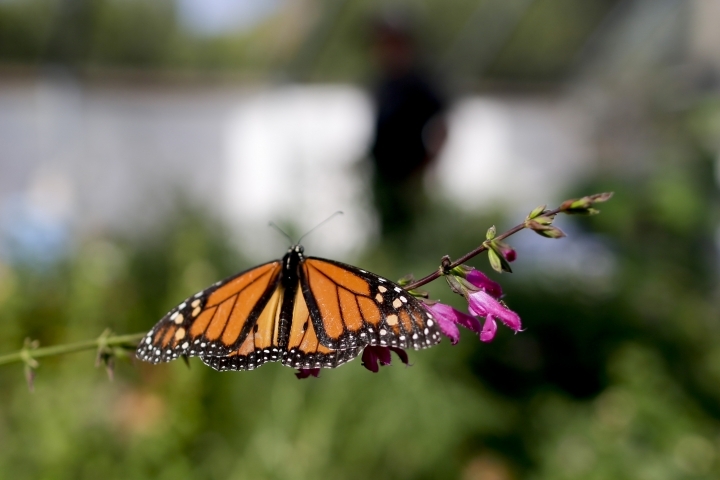 SAN FRANCISCO — Researchers with an environmental group have labeled as "disturbingly low" the number of western monarch butterflies that migrate along the California coast. A recent count by the Xerces Society recorded fewer than 30,000 butterflies, which it said is an 86 percent decline since 2017. By comparison, the group in 1981 counted more than 1 million western monarchs wintering in California, the San Francisco Chronicle reported. The Xerces Society conducts annual Thanksgiving and New Year's counts and was not certain what caused the numbers to drop. It said there is no substantial evidence of a delayed migration and butterflies are not being reported in other parts of the country. A 2017 study by Washington State University researchers found the species likely will go extinct in the next few decades if nothing is done to save it. Scientists say the butterflies are threatened by pesticides, herbicides and destruction along their migratory route. They also have noted climate change impacts. University of Michigan and Stanford University researchers found carbon dioxide from car and factory exhaust reduced a natural toxin in milkweed that feeding caterpillars use to fight parasites. Western monarch butterflies are typically seen from November to March in forested groves along the California coast.